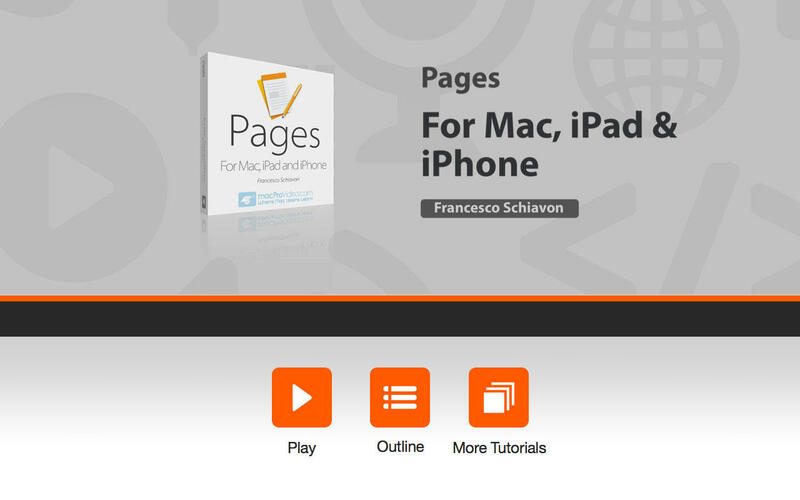 This 37-tutorial course by expert Francesco Schiavon teaches you everything about using Pages to create and edit documents on all your devices now that Apple's Pages is everywhere: On the Mac, iPad & iPhone and in the cloud! You've got an important deadline. So you start creating an equally important Pages document on your Mac. Progress. Then, while rushing through a quick lunch at the cheap little place on the corner, you get an amazing idea! No need to panic. Between bites, you pull out your iPhone and boom... your document is there ready to receive your ideas. Cool, that leaves time for a quick low-carb dessert! After a strong cup of espresso, you're back at your desk and boom!... 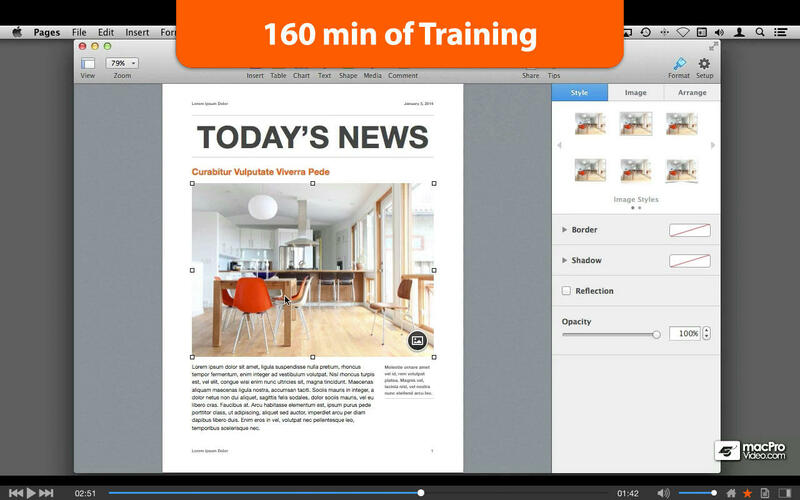 those lunchtime additions are already in the document on your desktop Mac and you continue your work. Later that day, after a lot of hard work, you're down the hall, sans any of your Apple devices, and your group leader wants to see what you're working on... and yikes, all they have is a PC! Hmmm... no problem, you pull up a browser on their Windows PC, log in to your iCloud account and boom... there's the latest version of your document! You export it as a Word doc and everyone is happy! This is called productivity and this course, led by Apple productivity expert, Francesco Schiavon, you learn how to operate Pages like a productivity master of the universe - on all of your devices! 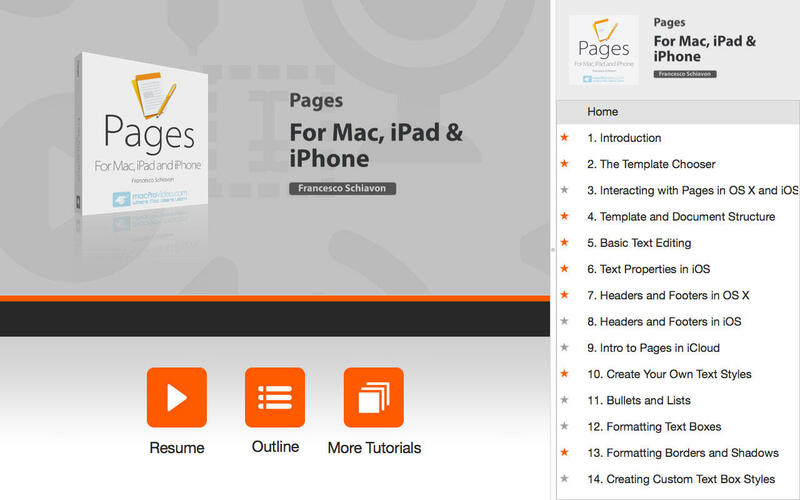 So boot up Pages and follow along and just see how the powerful and ubiquitous Pages will change your word processing life!